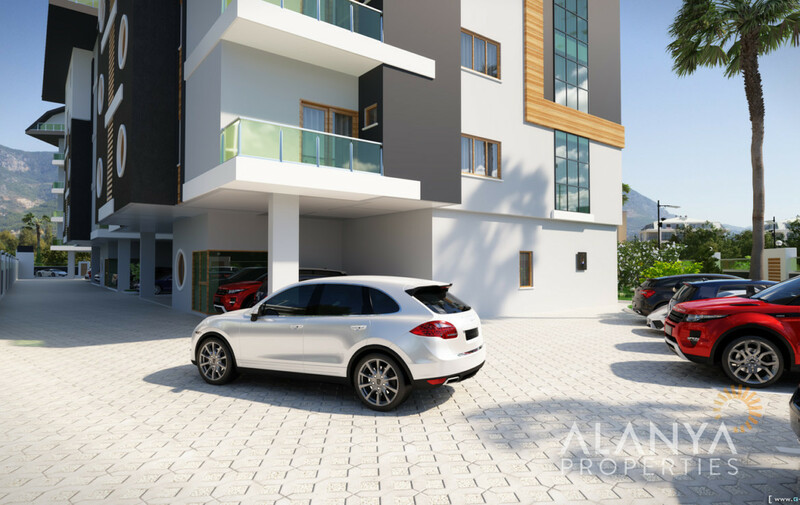 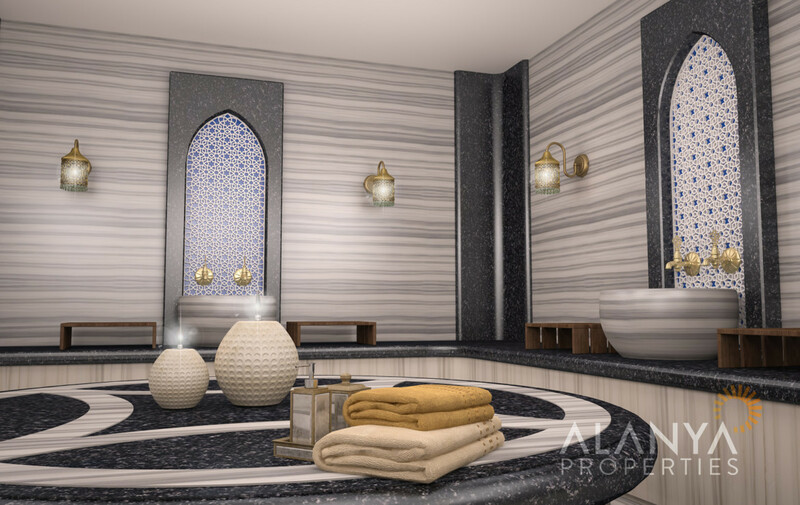 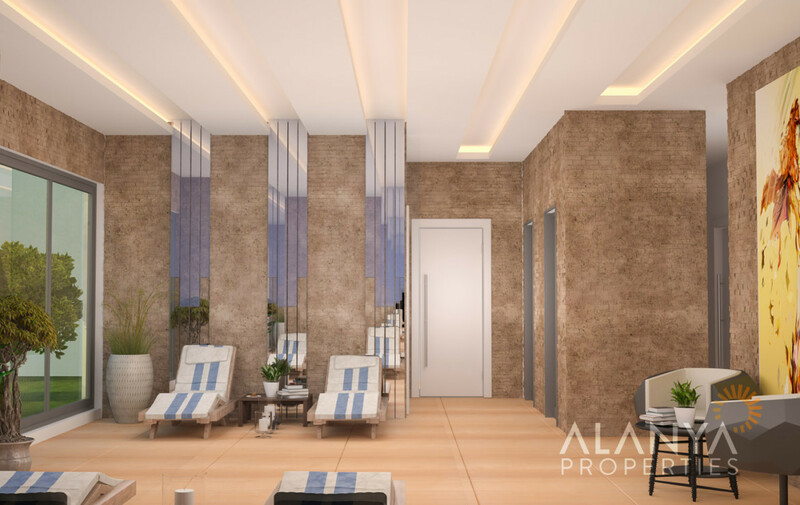 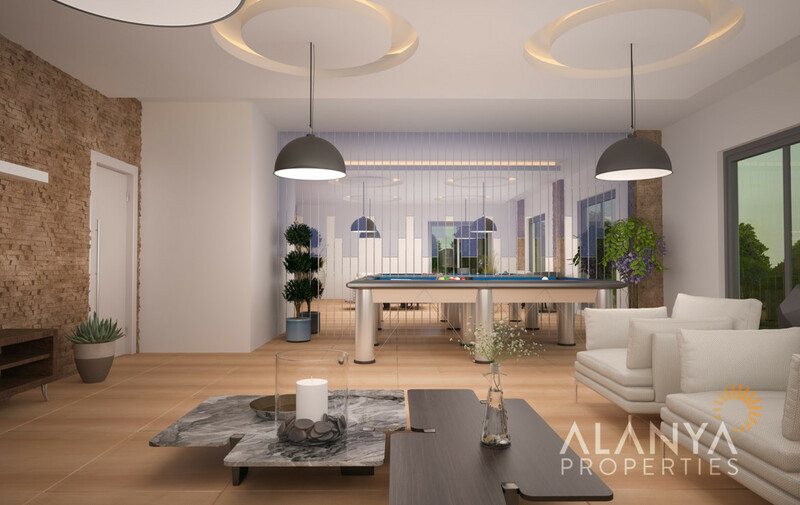 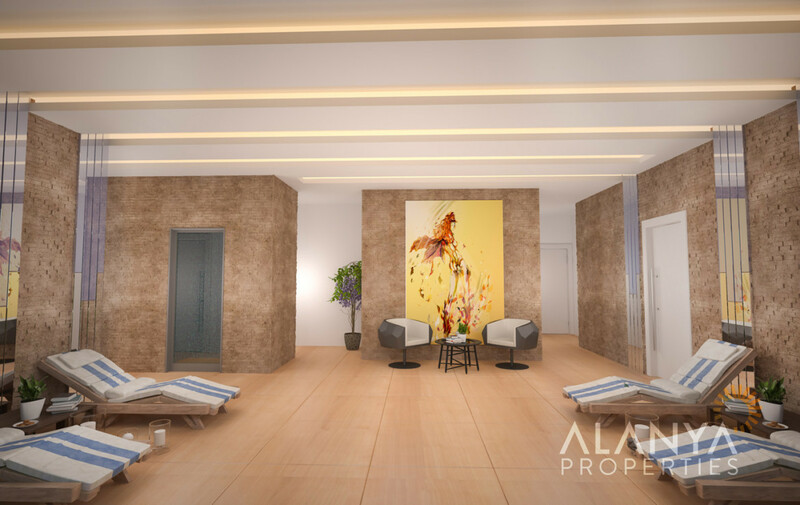 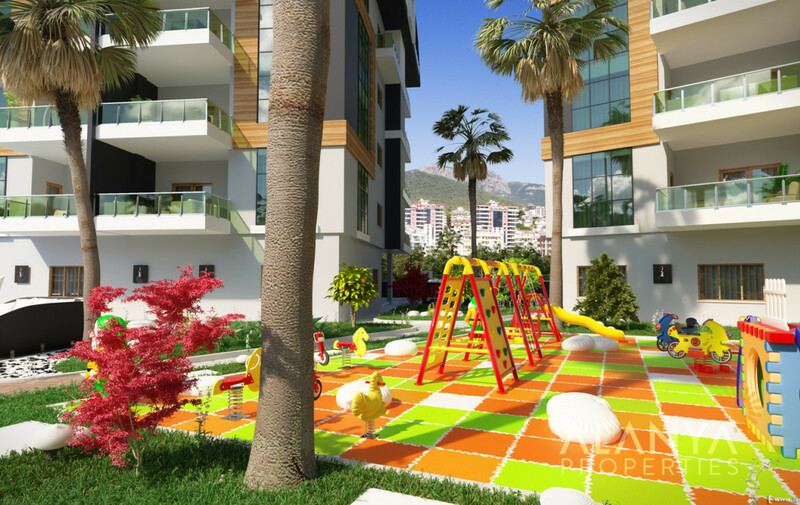 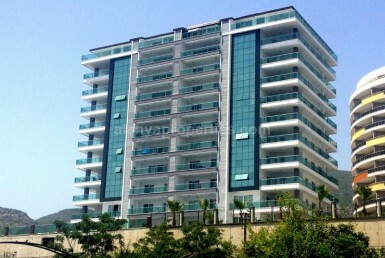 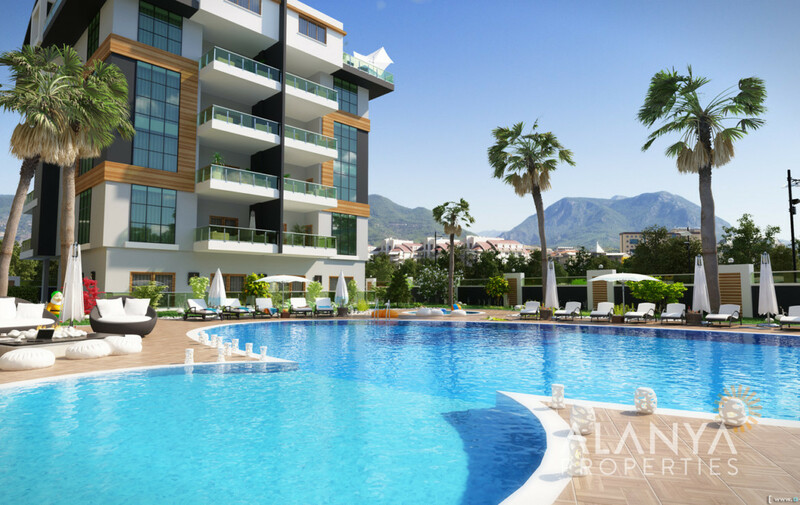 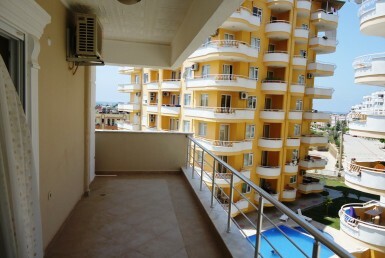 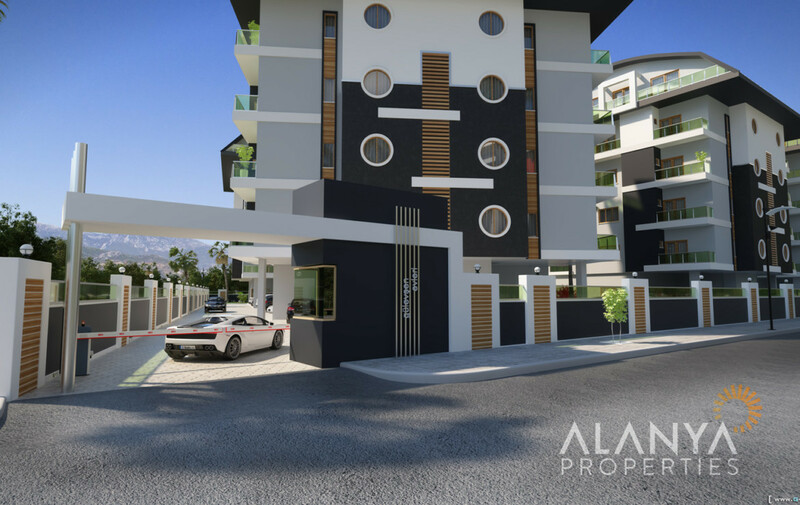 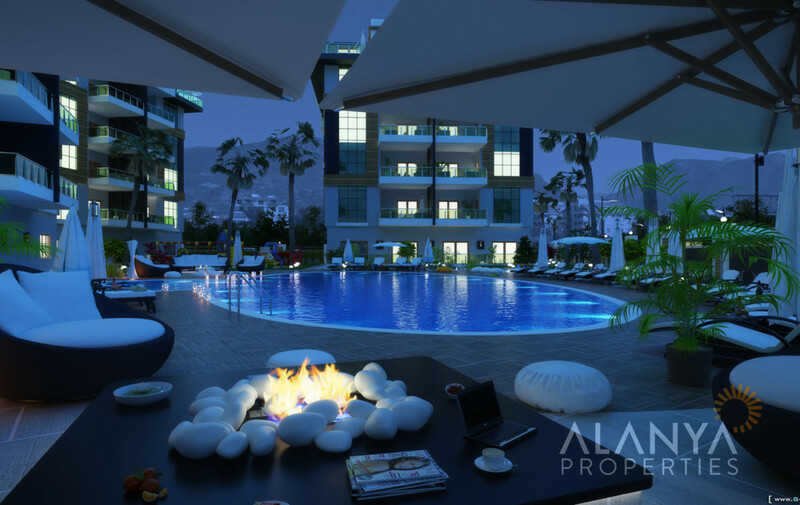 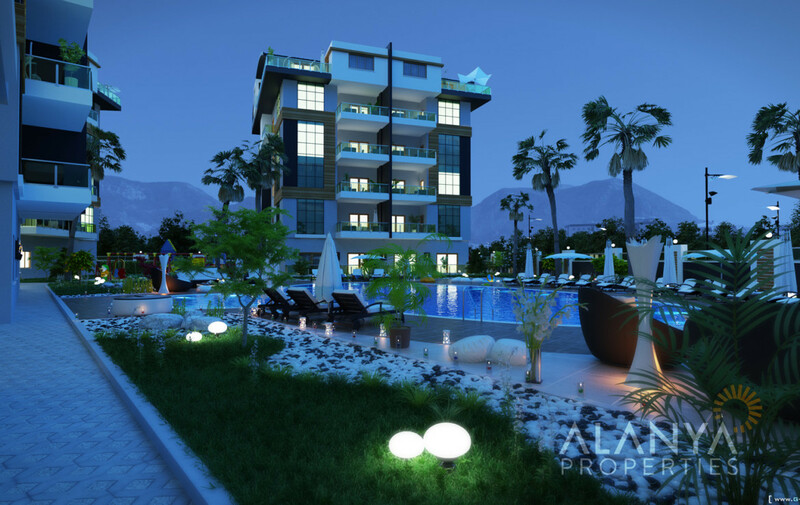 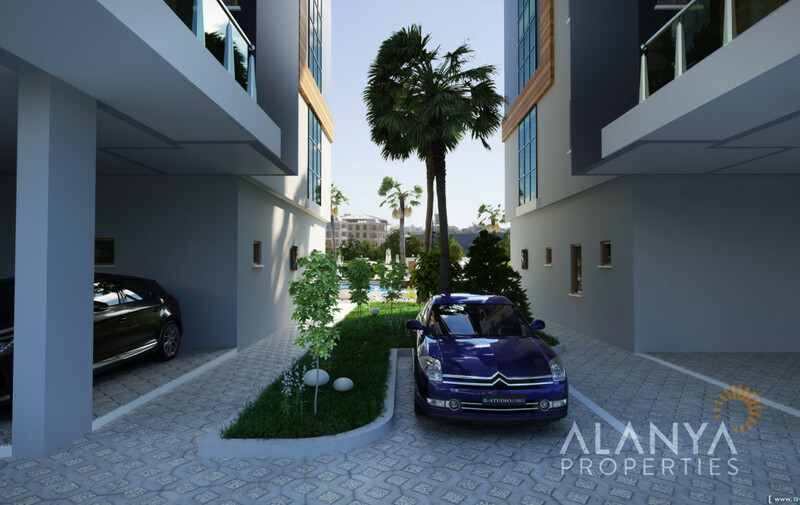 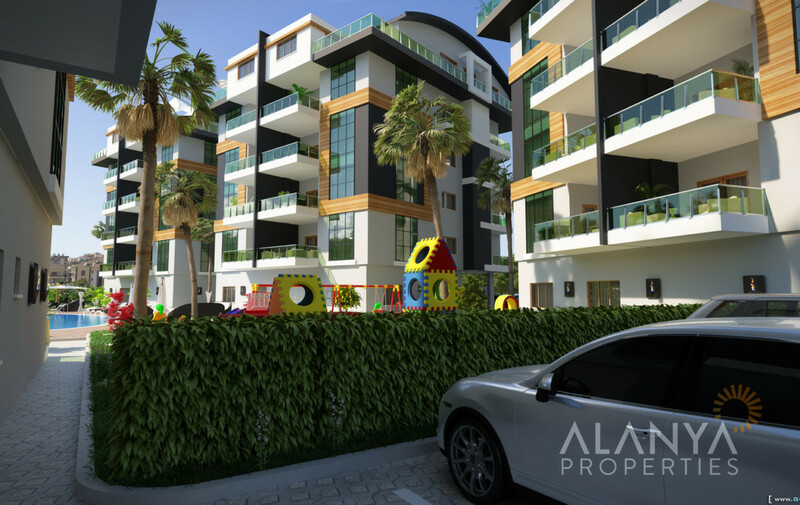 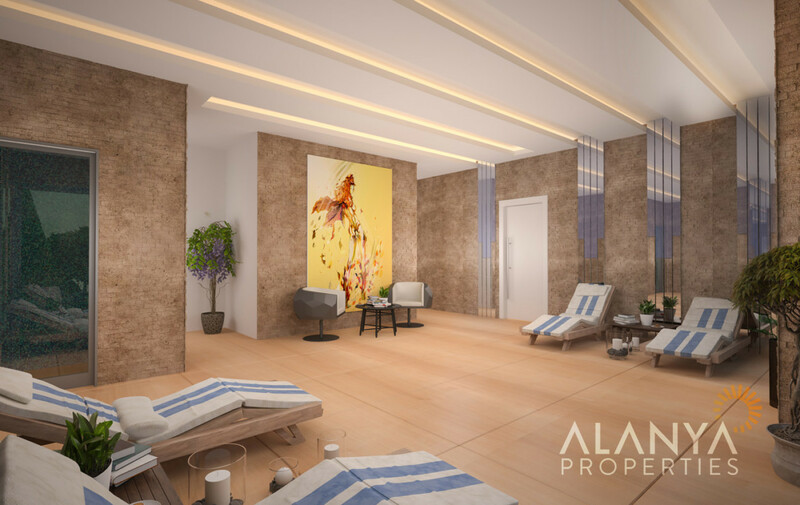 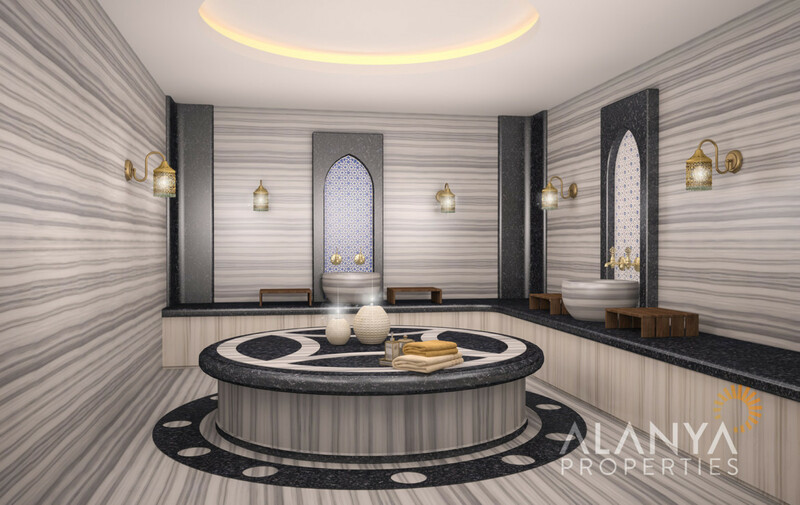 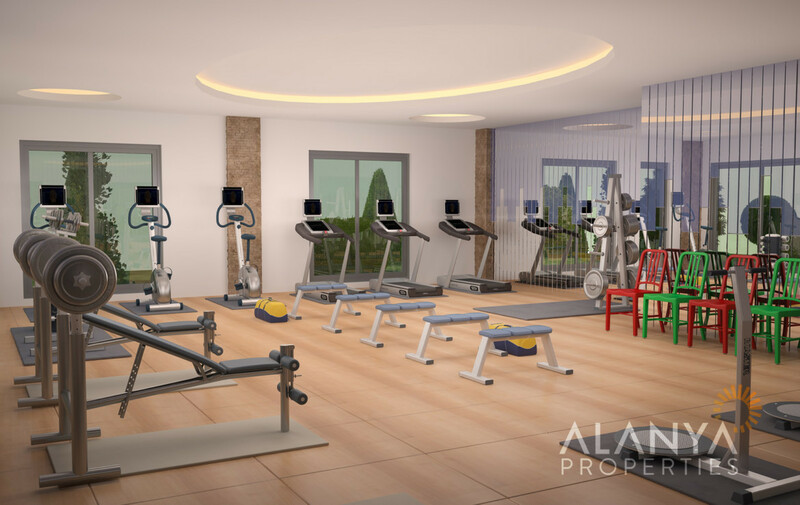 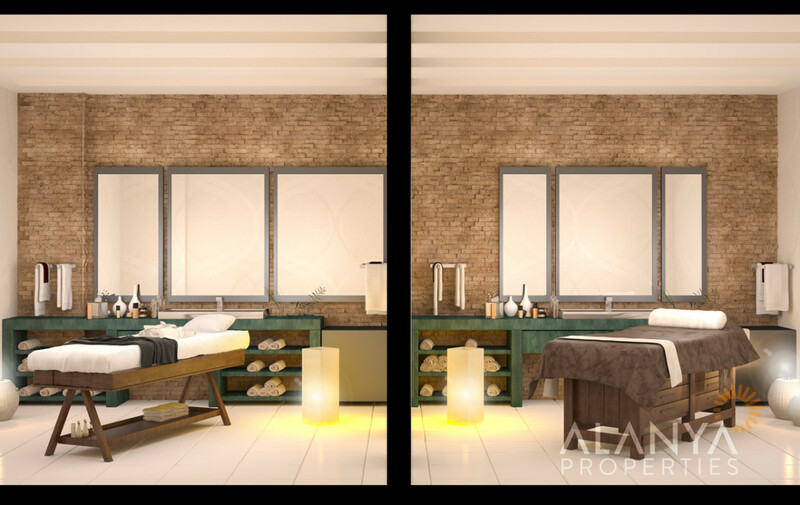 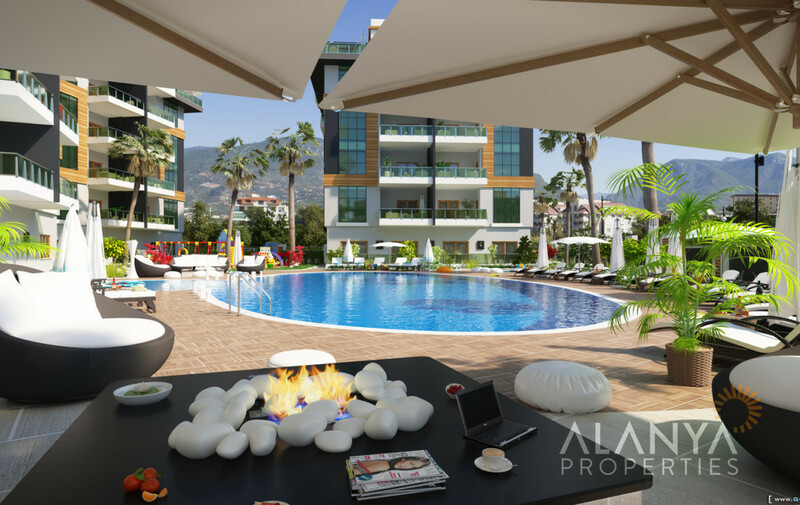 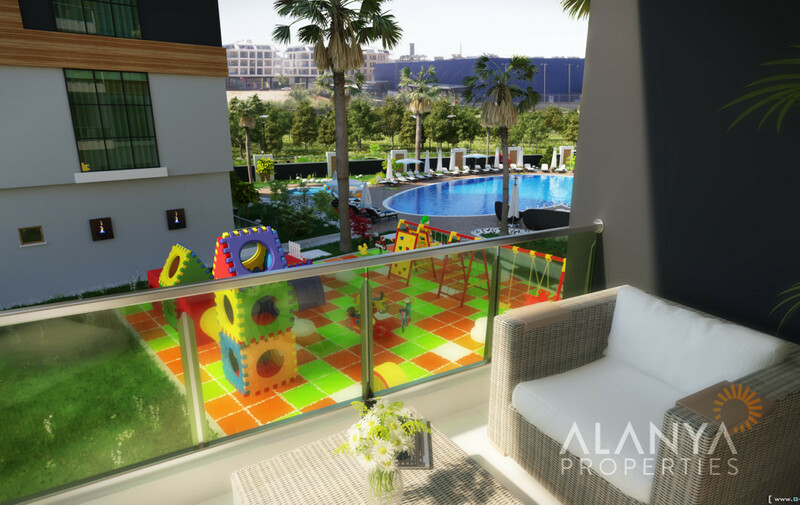 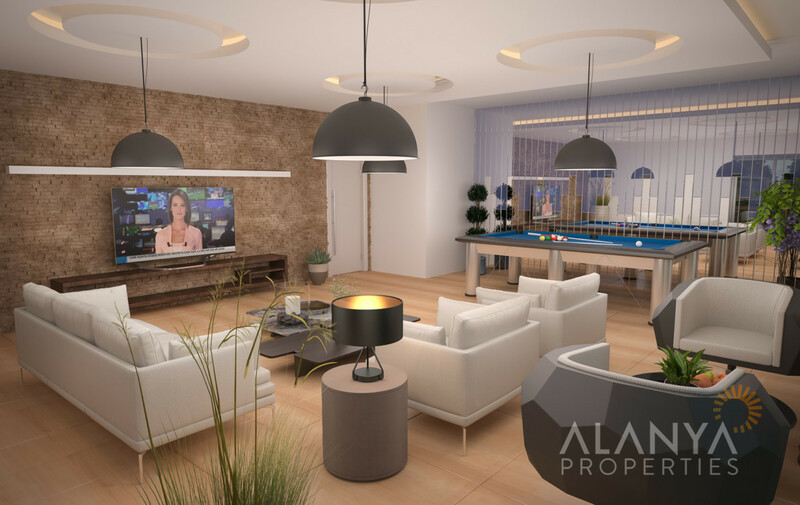 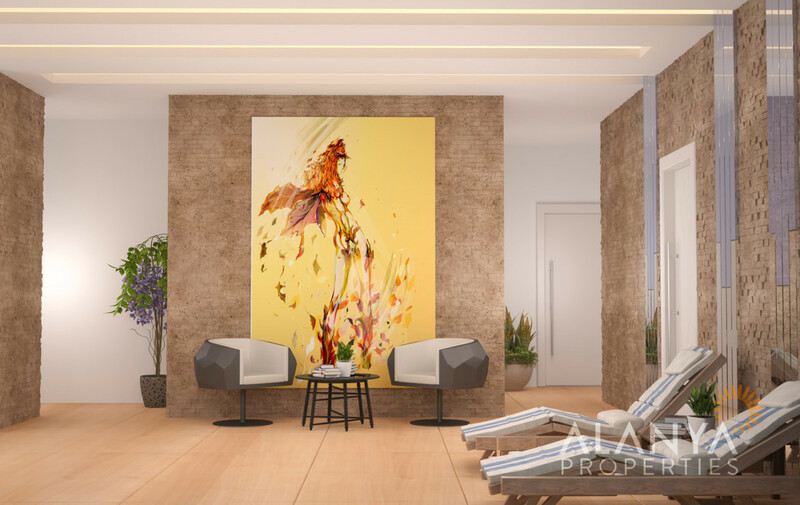 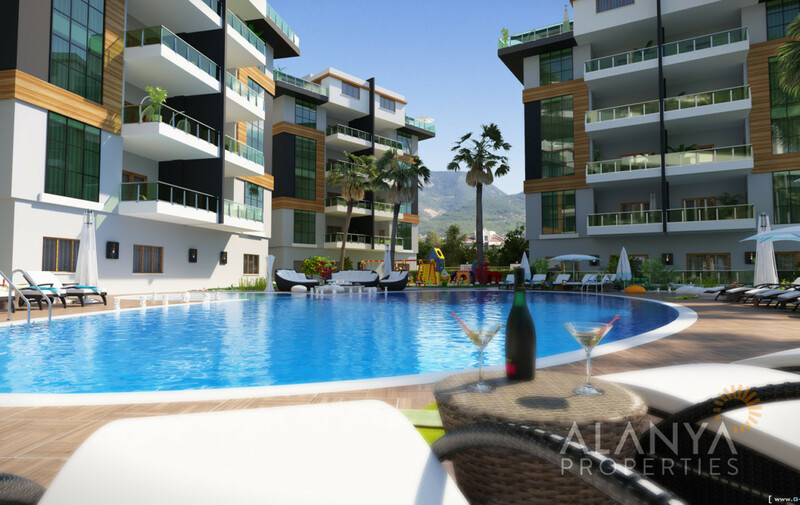 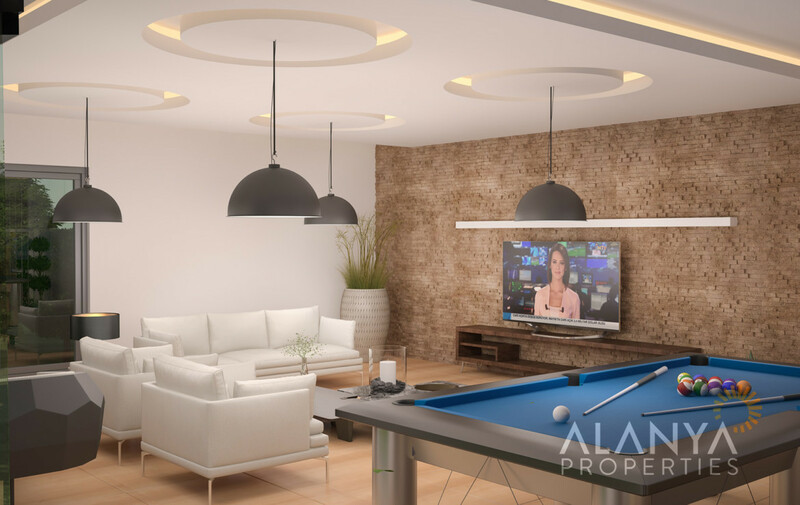 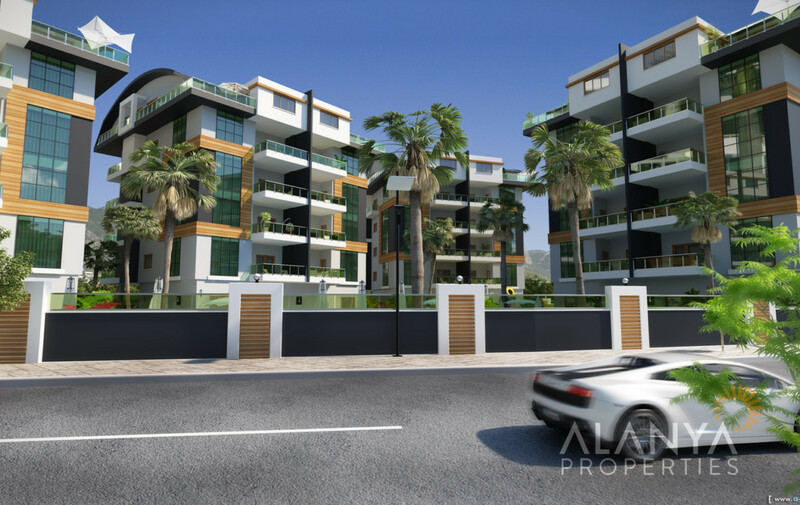 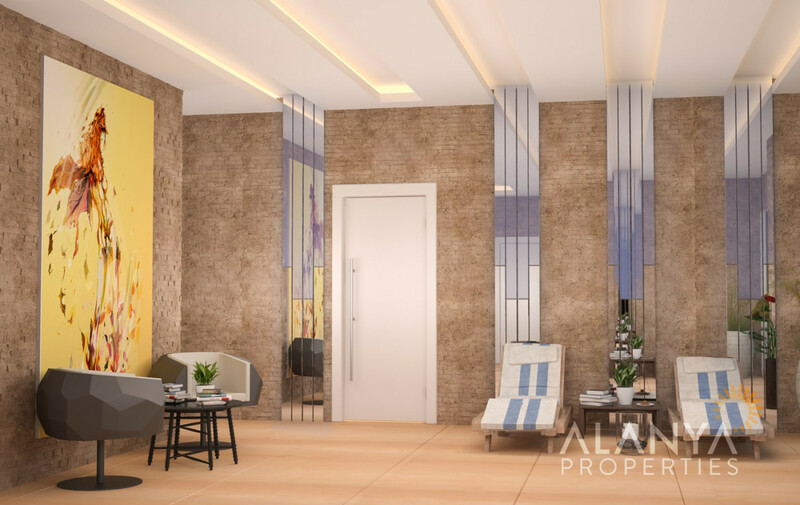 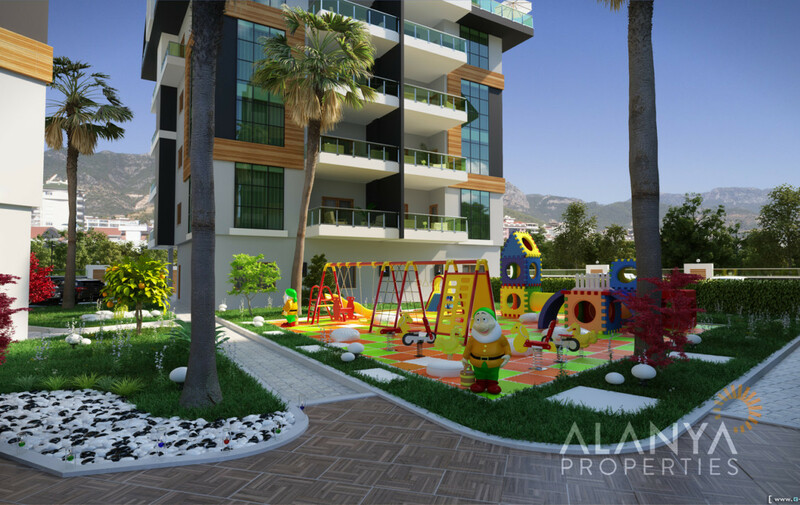 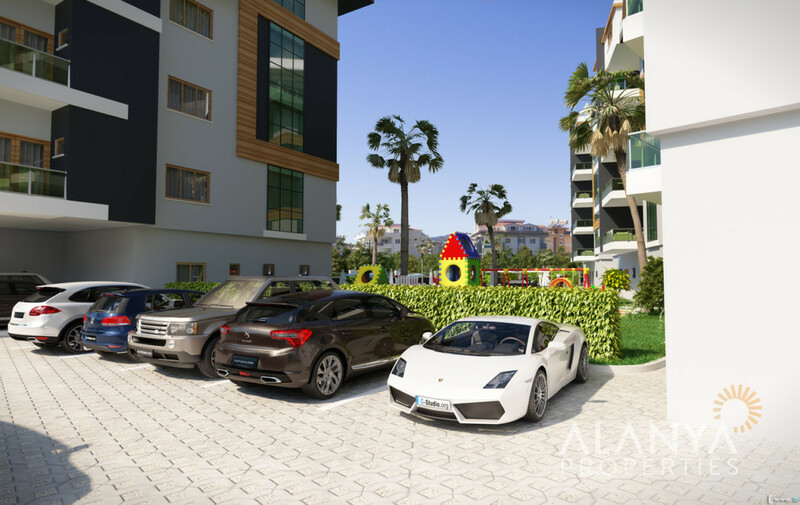 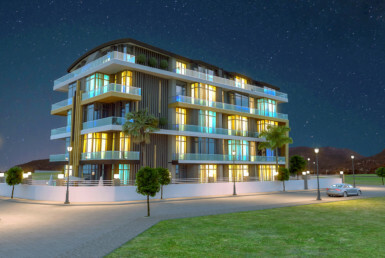 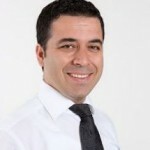 Apartments for sale in Oba, Alanya. 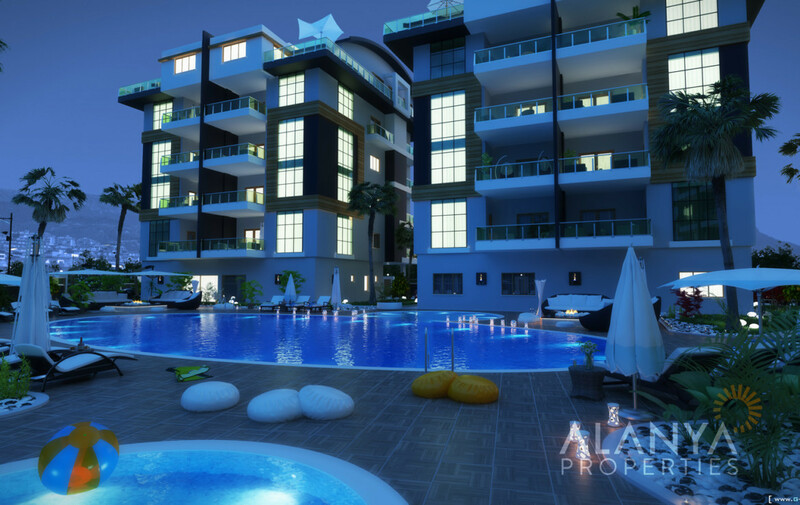 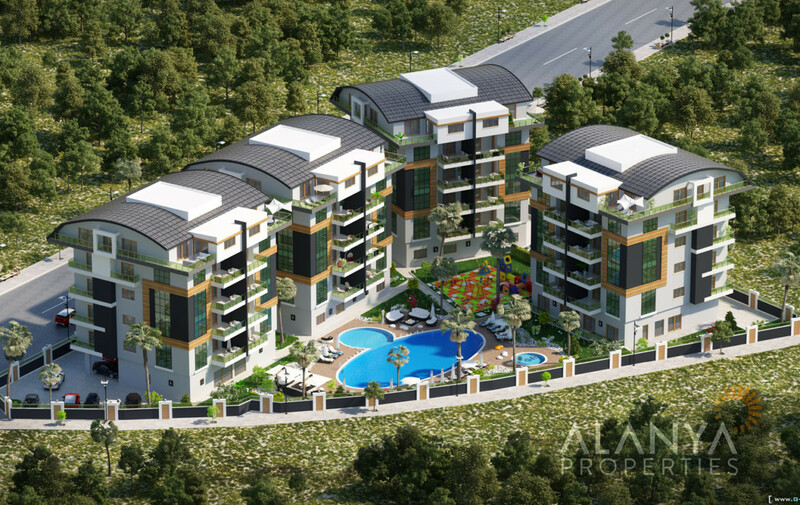 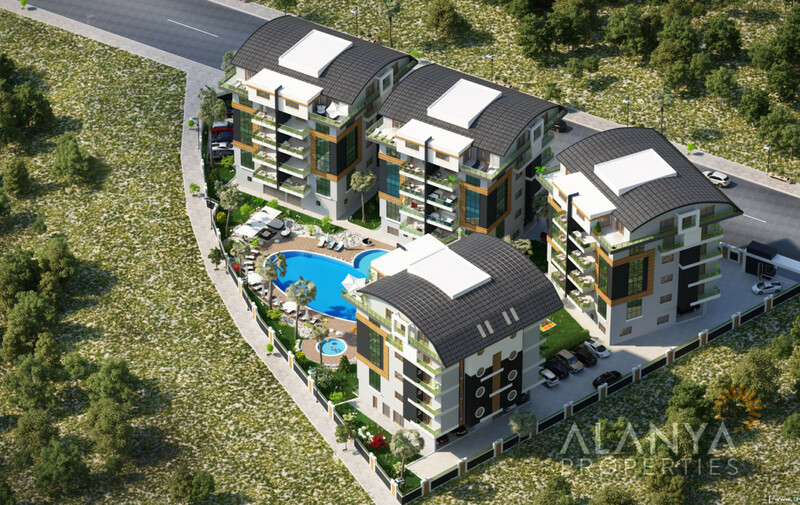 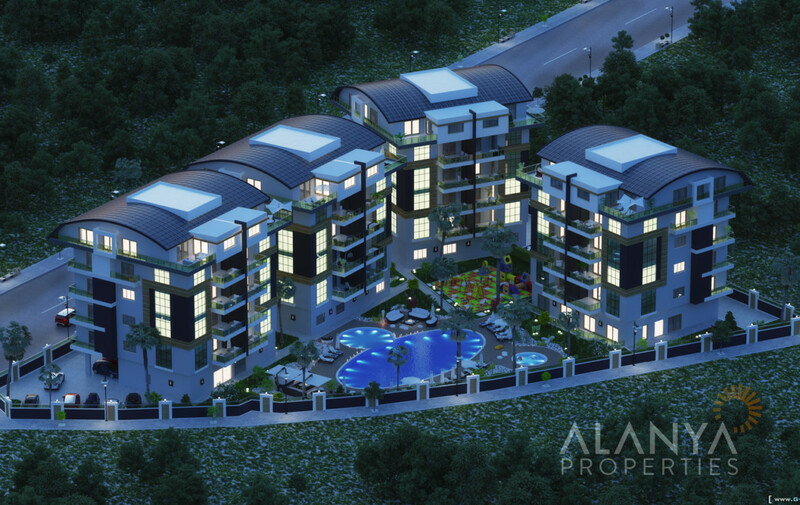 This complex is located in Oba a district 3 km from Alanya city center. 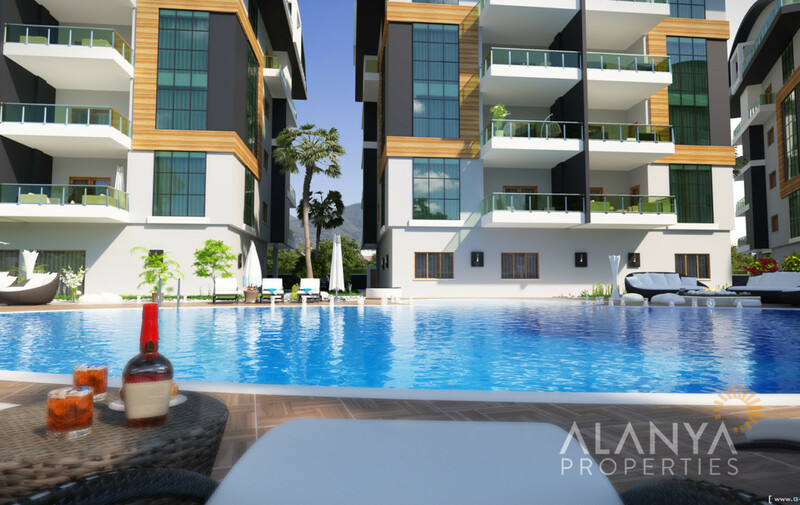 The residence was built to the highest standards, and offer you a great number of common facilities to ensure your safety, comfort and happiness. 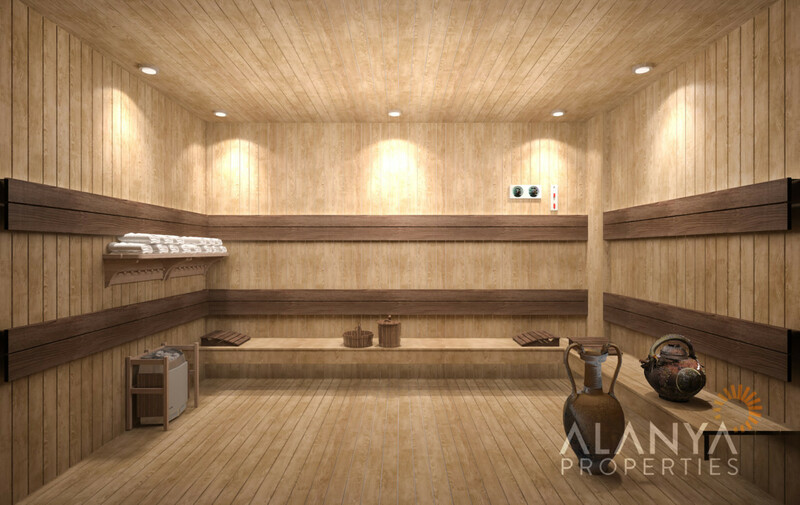 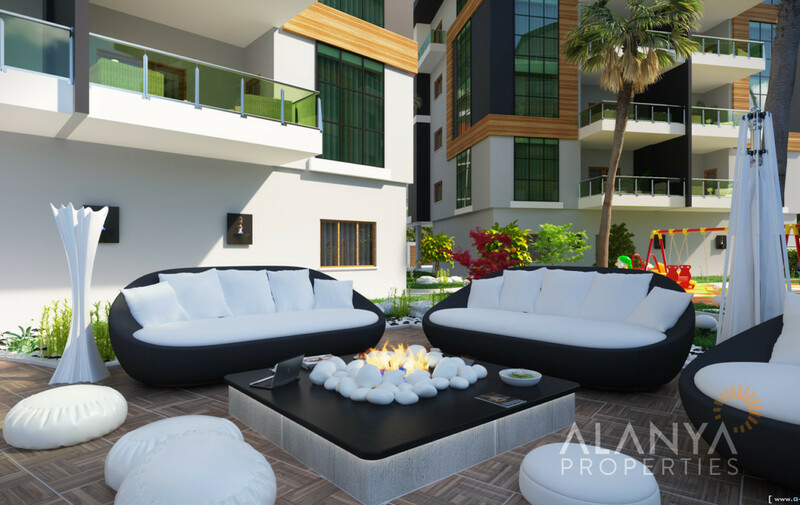 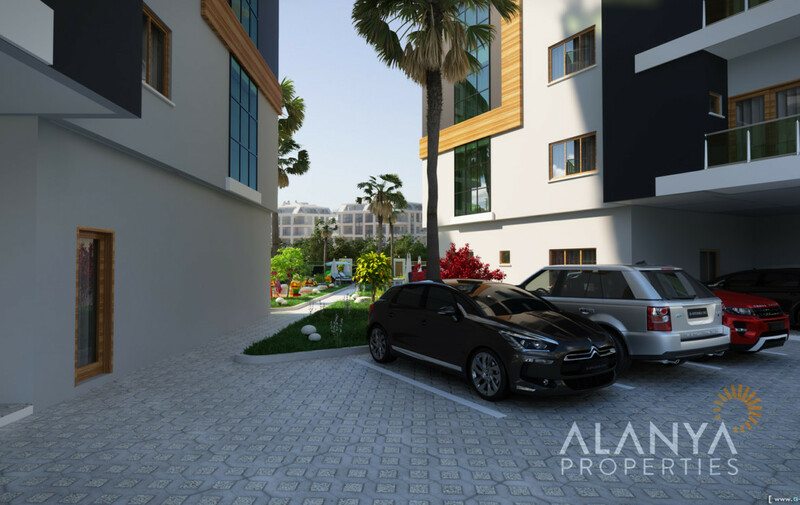 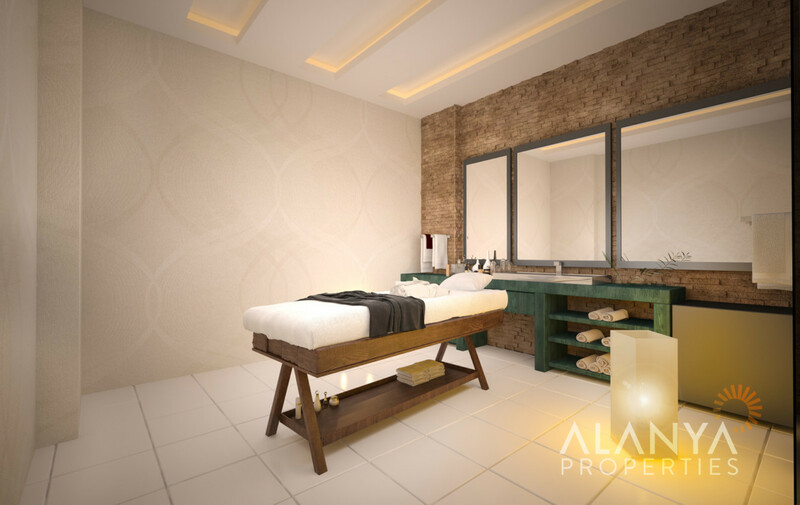 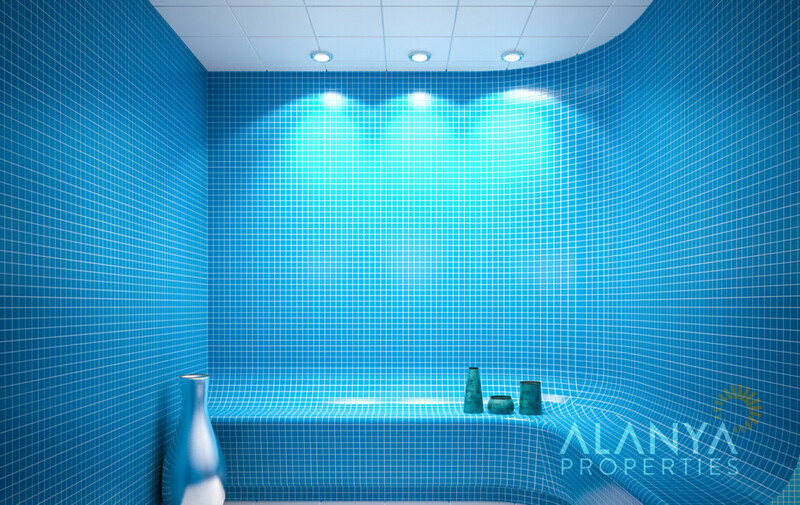 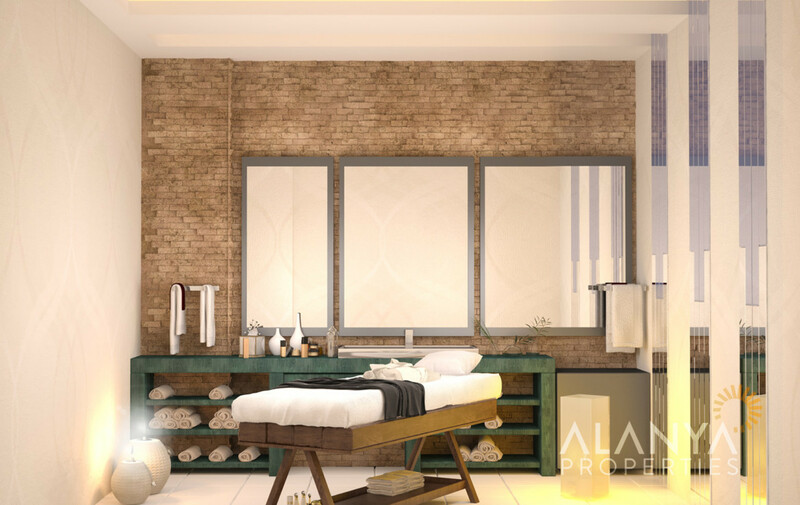 3 bedrooms apartments and 4 bedroom penthouse apartments are available. 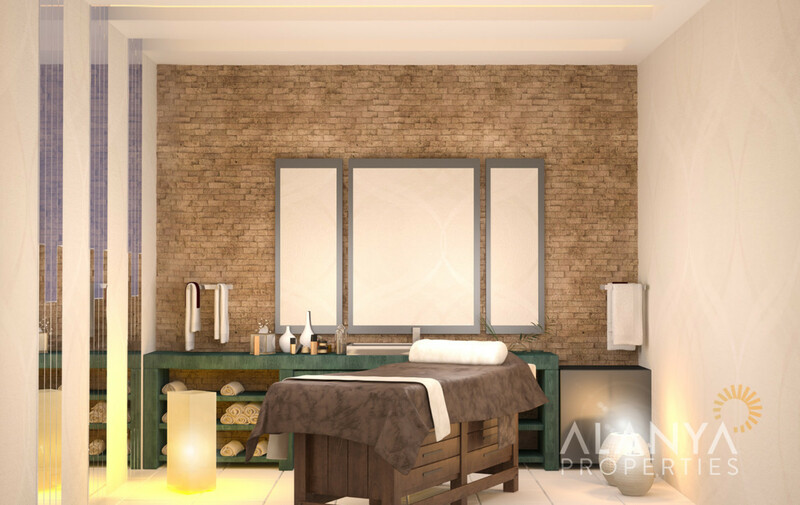 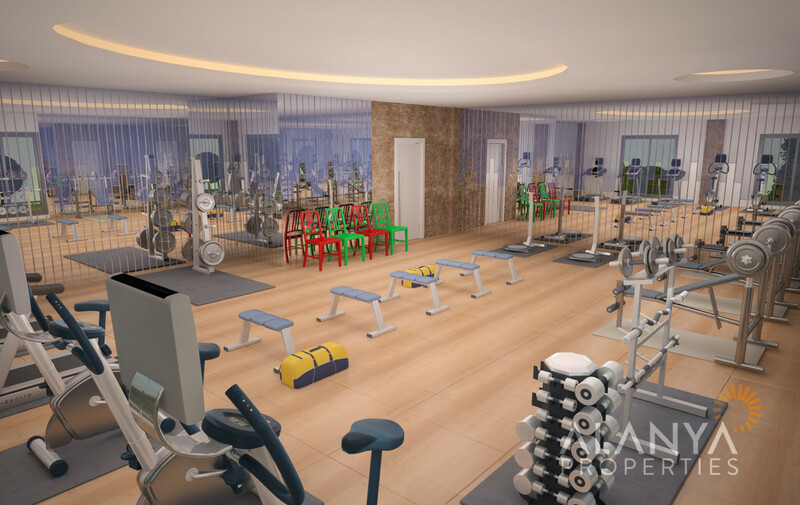 All social activities are available like, swimming pool, children’s pool, fitness center, table tennis, steam room, sauna, etc. 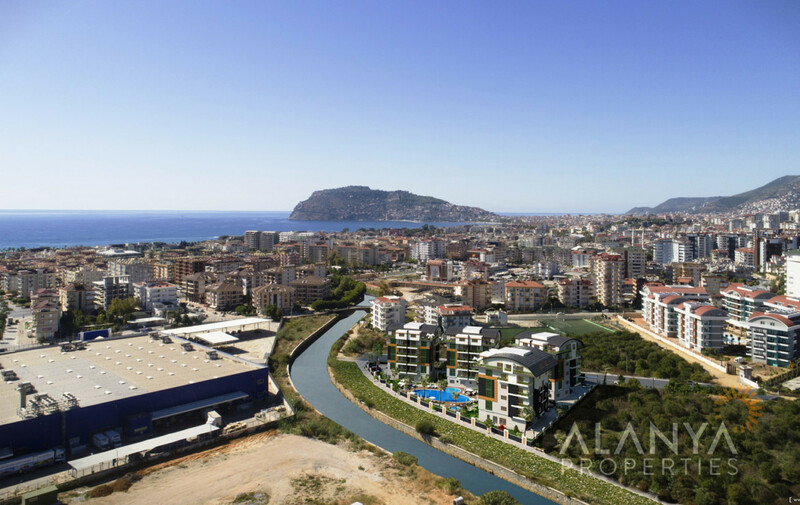 Near to the complex you can find the big supermarket Metro, in a central but still peaceful and quiet area as well. 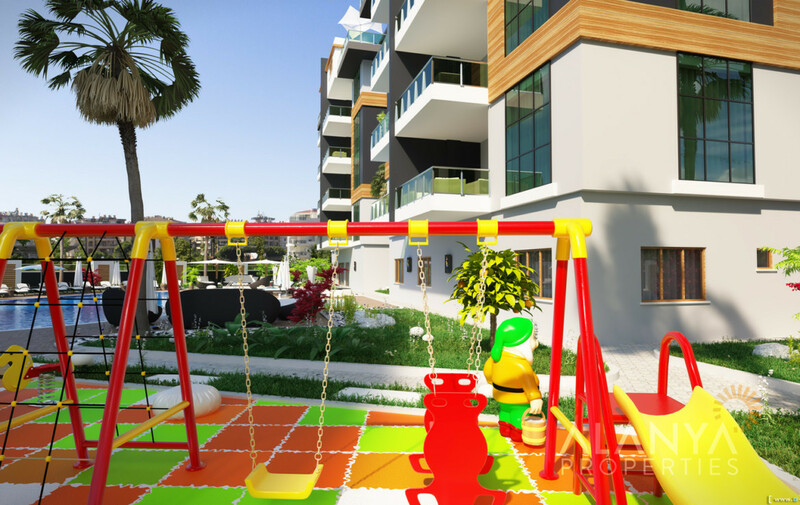 The residence is very rich both in terms of location and onsite activities, is also very close to the state educational institution and research hospital. 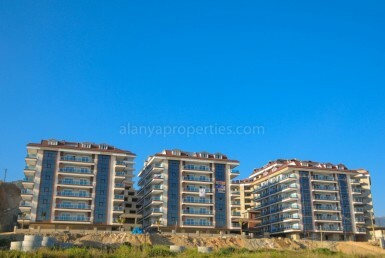 Only 700 m to the beach and next to the Oba river. 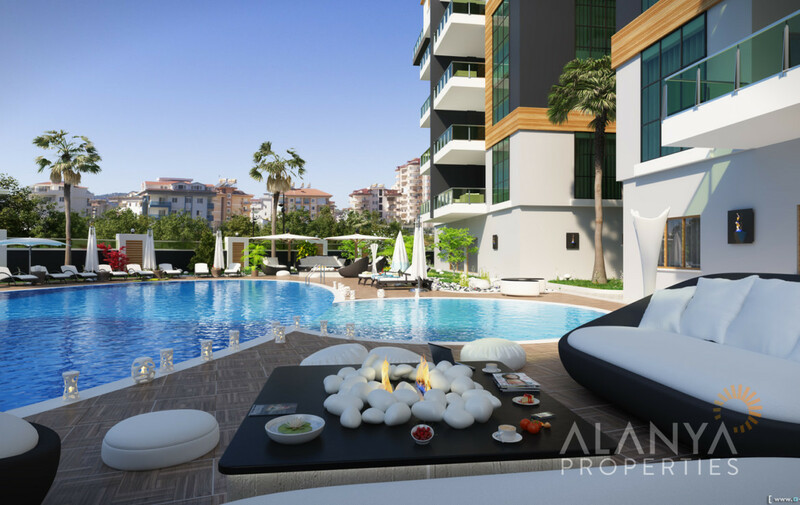 Oba has it own city center with shopping centers, banks, parks, restaurants and much more. 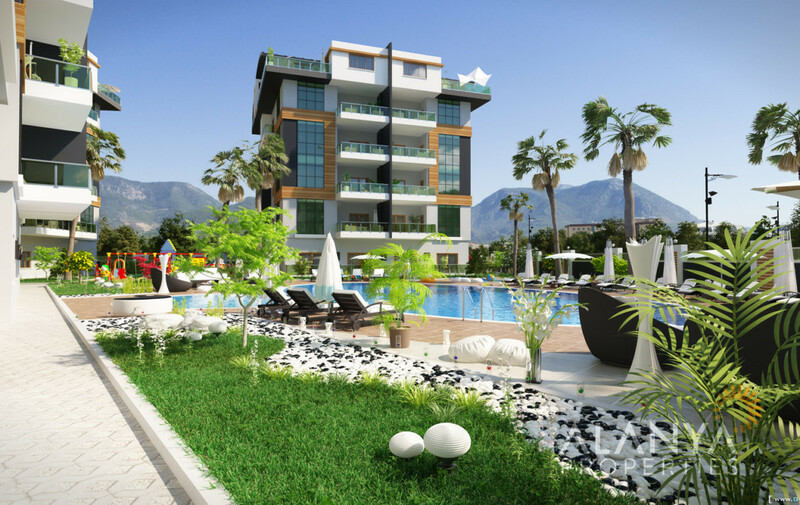 Only 25 minutes to Gazipasa international airport and 120 km to Antalya international airport.